Internet of Things (IoT) is characterized by various technologies, which are in accord to the provisioning of innovative services in innumerable application domains. In cultural creative industry, Internet of things has been widely practiced now, and will still have many creative potential in art work applications. In this consequence, the satisfaction of risk management requirements plays a fundamental role. Unfortunately, there is little objective, scientific research focused on evaluating the risks of security issues that result from information exchange among Internet of Things. In this study, the Grey Relational Analysis (GRA) is employed to identify and evaluate the risks of IoT. This research finds that Privacy, Access Control, and Trust are the top three risk factors. Using IoT in cultural creative industry is a new inevitable business trend, it is an unavoidable responsibility to our society to govern and constitute a healthy environment for all the related users. A, Nordrum, Popular Internet of Things Forecast of 50 Billion Devices by 2020 Is Outdated. IEEE. 18 August (2016). Y, Erlich, A vision for ubiquitous sequencing. Genome Research. 25 (10): 1411–1416 (2015). I, Wigmore, Internet of Things (IoT). TechTarget. June (2014). C. Hsu, J. Lin, An empirical examination of consumer adoption of Internet of Things services: Network externalities and concern for information privacy perspectives". Computers in Human Behavior. 62: 516–527 (2016). K, Thompson, B. Mattalo,. The Internet of Things: Guidance, Regulation and the Canadian Approach. CyberLex. 24 November (2015). T, Lane, The "Only" Coke Machine on the Internet. Carnegie Mellon University. Retrieved 10 May, 2018. F. Palermo, Internet of Things Done Wrong Stifles Innovation. Information Week. 7 July (2014). R. Raji, Smart networks for control. IEEE Spectrum. June (1994). P. Magrassi, Why a Universal RFID Infrastructure Would Be a Good Thing. Gartner research report G00106518. 2 May (2002). P. Day, Peter Day's World of Business. BBC World Service. BBC. Retrieved 13 May 2018. K, Lewis, The First Thinking Sculpture: Inspired by Gaudi, created with Watson. Mobile World Congress 2017. https://www.ibm.com/blogs/internet-of-things/first-thinking-sculpture/ February 28 (2017). Retrieved 13 May 2018. J. Clark, IoT and the Arts: Galleries and smart sculptures. Mobile World Congress 2017. https://www.ibm.com/blogs/internet-of-things/iot-arts-galleries/ February 28, (2017). Retrieved 13 May 2018. I. Lopatovska, K. Rink, Ian Knight, Kieran Raines, Kevin Cosenza, Harriet Williams, Perachya Sorsche, David Hirsch, Qi Li, Adrianna Martinez. Talk to me: Exploring user interactions with the Amazon Alexa. Journal of Librarianship and Information Science. March 7 (2018). Ali Dorri ; Salil S. Kanhere ; Raja Jurdak ; Praveen Gauravaram, Blockchain for IoT security and privacy: The case study of a smart home, 2017 IEEE International Conference on Pervasive Computing and Communications Workshops, March (2017). J. Yang, B. Fang, Security model and key technologies for the internet of things, J. China Universities Posts Telecommun. 8 (2) 109–112 (2011). M. Miettinen, S. Marchal, I. Hafeez, N. Asokan, A. Sadeghi, S. Tarkoma, IoT SENTINEL: Automated Device-Type Identification for Security Enforcement in IoT, ICDCS, June 2017. S. Sicari, A. Rizzardi, D. Miorandi, C. Cappiello, A. Coen-Porisini, Security policy enforcement for networked smart objects, Computer Networks, 108(24), 133-147 (2016). Y. Zhao, Research on data security technology in internet of things, 2013 2nd International Conference on Mechatronics and Control Engineering, ICMCE 2013, Dalian, China, pp. 1752–1755 (2013). P. Porambage, C. Schmitt, P. Kumar, A. Gurtov, M. Ylianttila, Two-phase authentication protocol for wireless sensor networks in distributed IoT applications, WCNC, April (2014). Z. Ji, I. Ganchev, M. O'Droma, L Zhao, X. Zhang, A Cloud-Based Car Parking Middleware for IoT-Based Smart Cities: Design and Implementation, Sensors, 14(12), 22372-22393 (2014). A. Ngu, M. Gutierrez, V. Metsis, S. Nepal, Q. Z. Sheng, IoT Middleware: A Survey on Issues and Enabling Technologies, IEEE Internet of Things Journal, 4(1), 1-20, (2017). S. Sadhukhan, A. Acharyya, R. Prasad, Car Security System using Fingerprint Scanner and IOT, Indian Journal of Science & Technology, 10(40), (2017). S. Paquette, P.T. Jaeger, S.C. Wilson, Identifying the Security Risks Associated with Governmental Use of Cloud Computing, Government Information Quarterly. 27, 245-53 (2010). K. Kalyani, Implementation of IOT in E-Commerce. International Journal of Scientific Research in Science and Technology, 3(8), (2017). Z. Yan, P. Zhang, A.Vasilakos, A survey on trust management for Internet of Things, Journal of Network and Computer Applications, 42, 120-134 (2014). D. Chen, G. Chang, D. Sun, J. Li, J. Jia, X. Wang, TRM-IoT: A Trust Management Model Based on Fuzzy Reputation for Internet of Things, ComSIS. 8(4), 1207-1228, (2011). J. Casale, Social Networking, Cloud Computing Bring New Risk Exposures, Business Insurance. 44(38), 17,(2010). S. Alam, M. Chowdhury, J. Noll, Interoperability of Security-Enabled Internet of Things, Wireless Pers Commun. 61(3), 567–586 (2011). 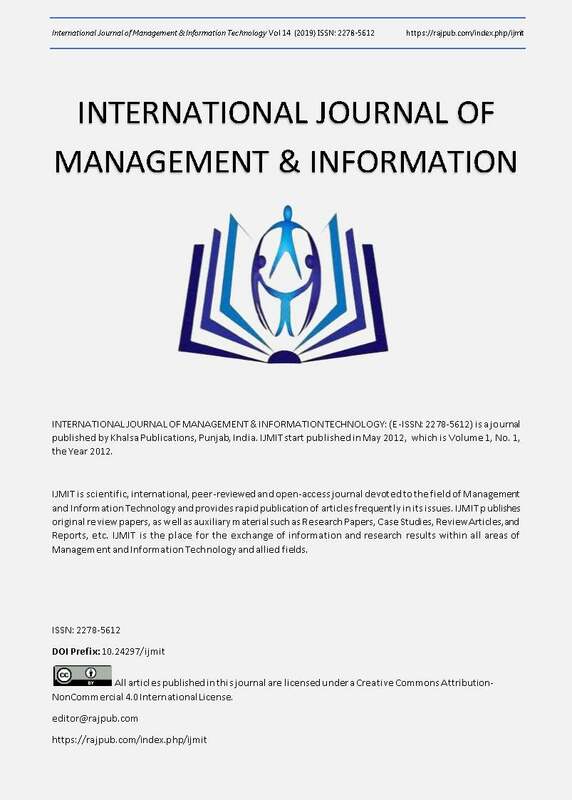 D. He, S. Zeadally, An Analysis of RFID Authentication Schemes for Internet of Things in Healthcare Environment Using Elliptic Curve Cryptography, IEEE Internet of Things Journal, 2 (1), 72–83 (2014). S. Sicaria, A. Rizzardia, L. Griecob, A. Coen-Porisini, Security, privacy and trust in Internet of Things: The road ahead, Computer Networks, 76 (15), 146-164 (2015). J. Deng, Grey System Theory and Applications, Lao-Li, Taiwan, (1999).